PostgreSQL 11 Released — This long awaited major release includes hash partitioning, covering indexes, transactions in stored procedures, and more. New in Postgres 11: Monitoring JIT Performance, Auto Prewarm and Stored Procedures — Postgres 11 features some great improvements and on in particular JIT compilation can have some great performance improvements. Get a look at exactly what it can mean for performance. 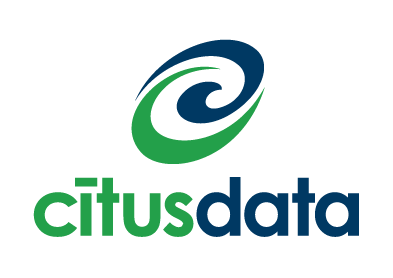 SQL Functions in Postgres, From the Devs at Citus Data — If you can dream it, there’s a SQL function for it in Postgres. A sampling of the hundreds of built-in SQL functions, including favorites like array_agg, array_to_string, now, allballs, data_trunc, and JSONB operators. PostgreSQL 11: A First Take on the New Release — Thoughts on some of the “killer features” of the latest release. A Look at Parallelism in Postgres 11 — Postgres got initial support for parallelism a couple of releases ago. That doesn’t mean everything is parallelized (yet). This talk from PostgresOpen Silicon Valley a couple of weeks ago digs into whats new with parallelism in Postgres. Adding New Table Columns with Default Values in Postgres 11 — In Postgres 11, adding a new column to a table with a default value is much faster as that default value is no longer written to every single existing row. Sharding Your Data with Postgres 11 — Postgres 10 added declarative table partitioning but in Postgres 11 you can now combine this with foreign data wrappers, providing a mechanism to natively shard tables across multiple servers. How to Minimize RPO for Your Postgres Databases Using Point in Time Recovery — ‘RPO’ (Recovery Point Objective) is a value in a disaster recovery plan that defines how much data you can ‘afford’ to lose and helps determine the design of your backup system. Commenting Your Postgres Database — Comments help when making your application code readable, but they can also be a powerful tool when it comes to documenting your queries and schemas. Building an Enterprise-Grade Postgres Setup Using Open Source Tools — You can watch a replay of Percona’s recent webinar here, or read this article for the key questions and answers that cropped up. Pgpool-II 4.0 Released — Pgpool is a popular connection pooling middleware and it now supports SCRAM authentication too. PostgreSQL is Not Your Traditional SQL Database — October 30 (Webinar) Gülçin Yıldırım Jelínek will cover design choices in PostgreSQL, full text search in PostgreSQL and more. PGDay.Seoul 2018 — November 3 (Seoul, South Korea) PostgreSQL Korean Users group prepared the third half day event. All presentations are in Korean.